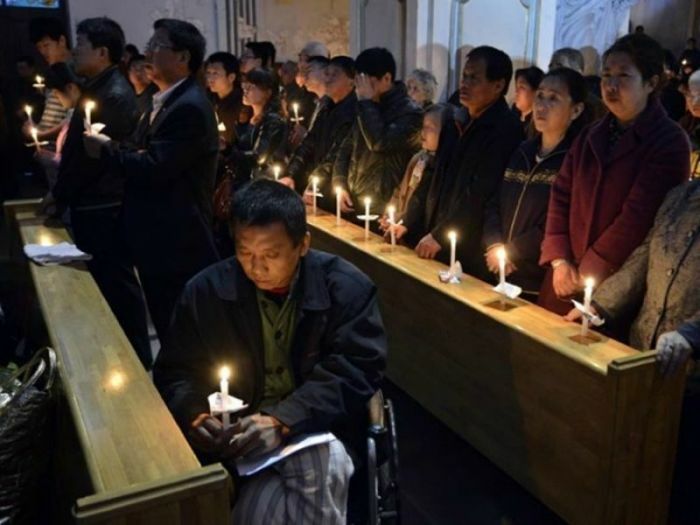 The growth of the Christian faith in China continues its remarkable rise, with one pastor reporting as many as 100,000 new followers of Christ per year, despite the worsening human rights abuses and crackdown by communist authorities. The Rev. Erik Burklin of China Partner, which trains Chinese Christian leaders, said that God is in the business of "changing lives" and "building His Church." He talked of surprising developments, such as a person with the central government donating close to $7.3 million for a new chapel at Union Theological Seminary in the city of Nanjing. "I was just scratching my head, thinking to myself, 'How in the world is it possible that in China, where Communism still runs the country, a person in the Central Government would donate so that a local school — in this case, the national seminary in China — can finish constructing their chapel?' It's unbelievable," Burklin stated. Moreover, the Chinese continue coming to Jesus on a growing basis. "Then we met with leaders for dinner that night, and we asked the pastors there, 'How many baptisms did you have last year? How many new converts did you have in your city?' he then gave us an overview of what God is doing in their whole province. He was proceeding to explain to us that they have up to 100,000 new believers on the average every year. ... That's unheard of," Burklin described. The atheistic government of China has for the most part been carrying out a large-scale crackdown on religious belief, especially against underground Christians worshiping in nonsanctioned house churches. It has been destroying church rooftop crosses, leading to clashes with hundreds of congregants, and arrests of Christian pastors and human rights activists. Leaders of the government-controlled Catholic churches that have spoken out against the cross demolitions have also faced arrest. Groups such as Freedom House have said that 100 million people face persecution in China, including Christians of various denominations, with Protestants facing "high" levels of persecution. Although Chinese President Xi Jinping has tried to establish cordial relationships with the West and major institutions, such as the Vatican, persecution watchdog groups, like China Aid, continue sharing the stories of people who have suffered atrocities under his regime. Li Heping, a Christian lawyer, talked about the "sadistic torture" he suffered following his arrest on July 9, 2015, as part of a crackdown. "There were times that I wanted to commit suicide. I survived because of my Christian faith, the courageous advocacy of my wife and the attention of the international community." China Aid President Bob Fu argued in The Wall Street Journal last week that Xi has "sought to eviscerate China's network of human rights lawyers and rights advocates, viewing their peaceful efforts at legal reform as a national-security threat." "Mr. Xi has re-instituted the Maoist practice of televised public confession and embraced a system of torture so horrific it demands an international response," he added.